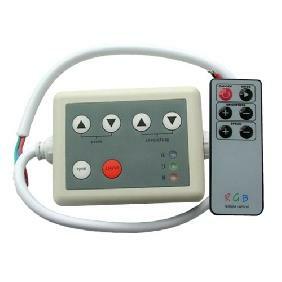 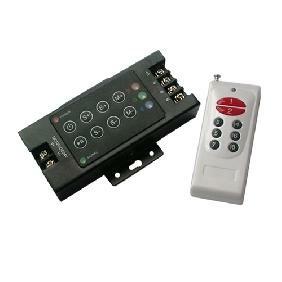 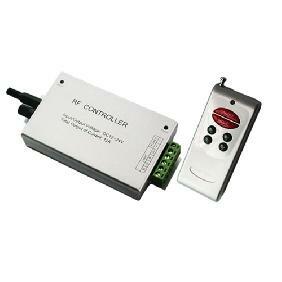 DMX common controller using advanced computer control chip, receiving international widely used DMX-512 standard digital control signal, convert PWM control signal to drive LED; can connect with DMX digital console, to realize dimming or various program changes. 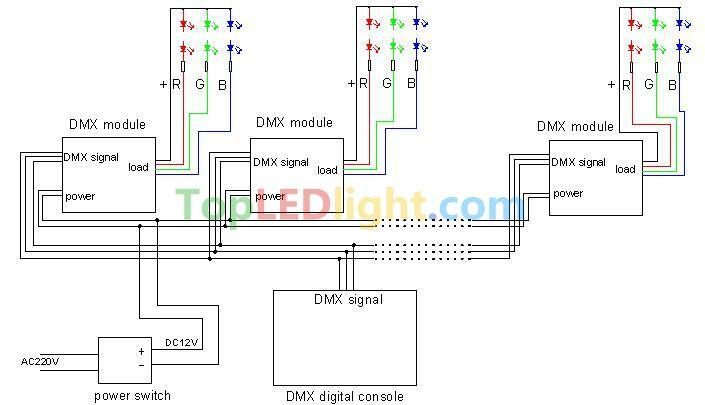 According to DMX decoder panel silk-screen prompt, in sequence to connect the input and output signal wire. 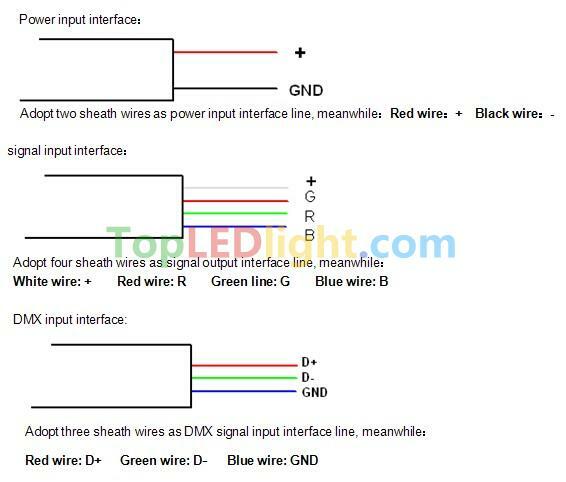 Please ensure short circuit can not occur between connecting wire before you turn on the power. 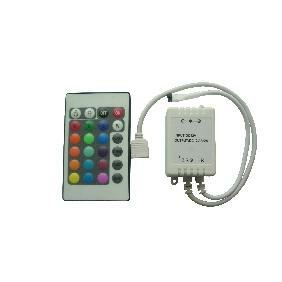 In the absence of receiving DMX signal, the module will achieve a seven color gradual changing mode(built-in function). 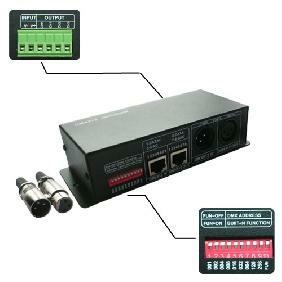 Receiving DMX signal, the built-in function is not available, it will be controlled by computer console control. 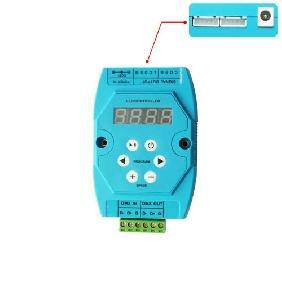 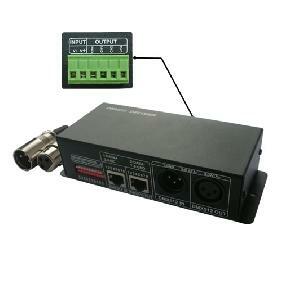 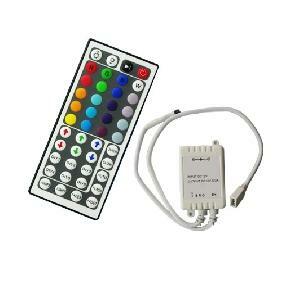 You could set the address code of module ( from 1 to 1022) through the DMX editor of our company. 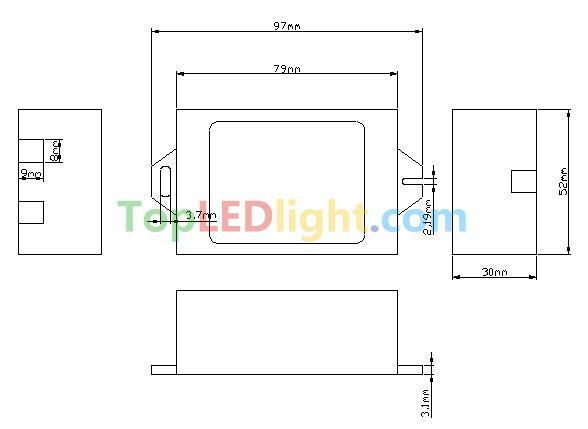 Perfect part from perfect seller. 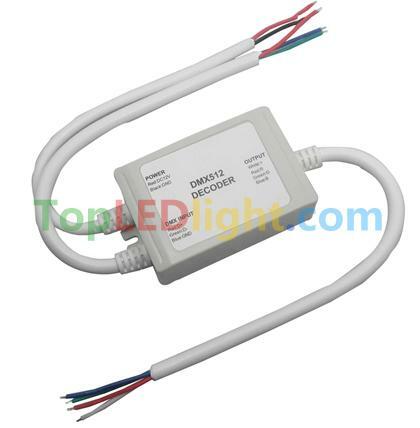 DMX512 Decoder Controller 3 Channels for 5050 SMD RGB LED Strip Light DC 12V-24V Rating: 5 out of 5 based on 1 reviews.